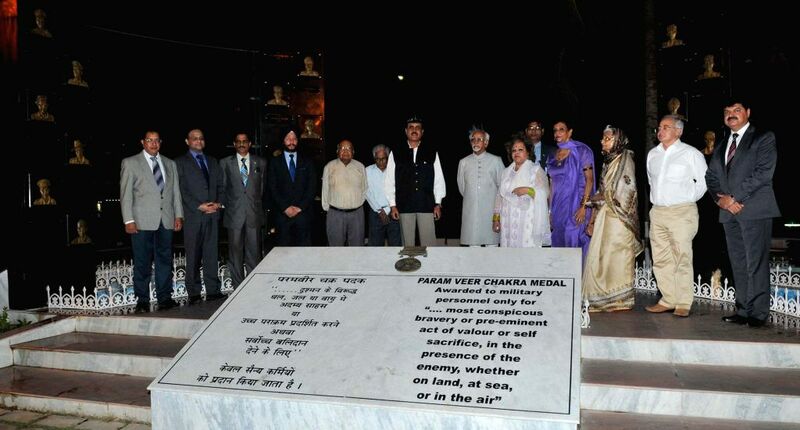 Port Blair: Vice President Mohammad Hamid Ansari at Marina Park, in Port Blair on Jan 11, 2015. Also seen the Lt. Governor of Andaman and Nicobar Islands, Lt. General (Retd.) A.K. Singh and other dignitaries.